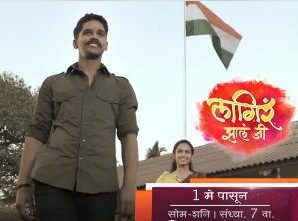 Lagir Jhala Ji is a new serial of Zee Marathi will hit screen on the very special occasion of Maharashtra day 1 May. Lagir Zal Ji serial is inspired by Sairat movie and we can as Sairat trend that actor has two friends and actress has one. The TV show has about an Army man and his true love towards Country. Initially we shared this serial title Majha Fauji but finally makers decided to change title and named as. It will be the longest running and big budget TV serial in M Town. It has Jai Malhar who has entertained audience since 3 years and 15 April is it &#8217;s last day shoot. 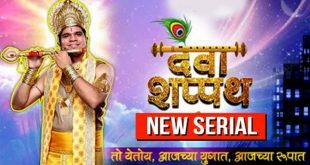 The TV show has been produced under the banner of Shree Mahaganpati Entertainment and produced by Ravindra Harpale while Prakash Pawar happens to be the director of the same. The music composed by Narendra Bhide, while the program is presented by Narendra Bhide. Currently the promos are running for the same, and it is gaining a decent reviews. If you are keen to say anything about this TV show or any other , do keep your comments below to let us know about the same. And yes don’t forget to stay in touch with us to keep more on this TV show and the others.